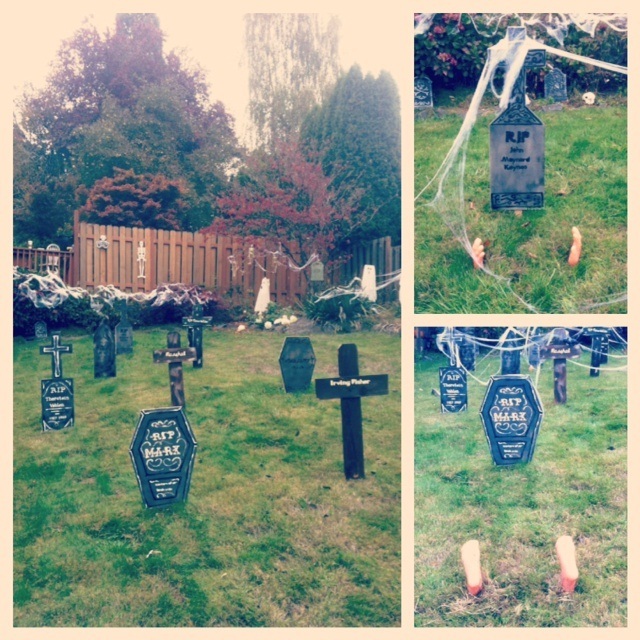 We hosted a Halloween party the other day year for all the babies in the local moms group and went all out with yard decorations. This is what happens, however, when you let an economist make the tombstones. They’re all famous, dead economists. We have Adam Smith, John Maynard Keynes, Karl Marx, Thorstein Veblen, Thomas Malthus, Joan Robinson, John Stuart Mill, Alfred Marshall and Irving Fisher. Obviously many more needed, however these are enough for one year. It’s a little hard to read, but the feet coming out of the ground are for Marx and the hands are for Keynes. Obviously the invisible hand is there for Smith (Thanks Ian). Happy Halloween everybody.